Your daughter is clamoring to go to a Halloween party this weekend. You know the parents so you’re not worried about safety, but you want your daughter to earn the privilege to go. You only ask that she cleans her room, and she’ll be able to attend the party. She happily agrees. Thirty minutes before it’s time to go, she tells you to come take a look. You notice a pile of clothes in one corner, an unmade bed in the other, and a floor in desperate need of a vacuum. You explain that she still has some work to do before she can go to the party. She’s not impressed. I did what you asked me to do and I still can’t go?! This is bull****! With that attitude, she’s definitely not going. You throw up your hands and think, Why does every day have to be so difficult? Why can’t she just listen to me? What am I doing wrong? If you identify with this scenario, you’re not alone! I talk to a lot of parents who think they’re being very clear with what they ask of their kids. Commonly, what you say and what your child hears can be two different things. To help your child better understand what you are asking of them, start with being crystal clear with your expectations. Clearly defined expectations offer your child safety and security. If they don’t understand the boundaries that are being set, they are much less likely to be motivated toward good behavior. If you clean your room – that includes putting your clothes away, making your bed and vacuuming the floor – then you can go to the party this weekend. The goal is for your kids to earn privileges through good behavior – this parent has it right! When you clearly define what is and isn’t allowed, you help your child understand what your expectations are and how to meet them. If you’re not explicit when outlining rules and consequences, your child will eventually stop trying to follow the rules and give up. Then, everybody loses. To avoid this, try discussing your expectations as a family. This will help put everyone on the same page, so you’re less likely to be misunderstood. 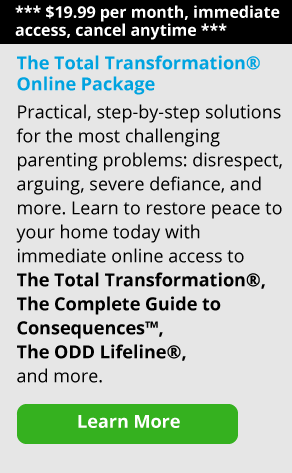 Remember, we’re here to help you get the most out of your parenting! Keep in touch in the comments below. Darlene Beaulieu is a parent to two teenage daughters. She has been an Empowering Parents Coach since 2009 and has helped thousands of families in that time. 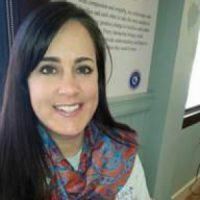 She earned her Master’s Degree in Counseling and has worked in school and community settings helping children and families with academic, social, and behavioral issues.